Cascade Building Services has been providing complete commercial cleaning services to cities in the greater Portland area for over 50 years. We’re committed to being the commercial cleaning service trusted by businesses and organizations throughout the area. Whether you need janitorial cleaning services, window cleaning, carpet cleaning or any other commercial cleaning services, we’ve got you covered. Hillsboro is a wonderful city and home to some of the areas biggest businesses, best schools, and most beautiful homes. Window, floor, and carpet cleaning are just a few of the commercial cleaning services we offer Hillsboro businesses. Beaverton is one of Portland’s most-popular suburbs and home to one of our area’s only Fortune 500 companies, Nike. At Cascade Building Services, we’ve been cleaning offices, hospitals, banks, schools, and other Beaverton businesses and organizations for over 50 years. Tualatin’s a great place to live and shop! Its location makes it easy to commute to Portland and other area suburbs. Plus there are plenty of local employers, including cutting-edge manufacturing firms and Legacy Meridian Hospital. Learn how we help businesses in the Tualatin area stay clean. Clackamas is one of Portland’s most conveniently located suburbs. It’s just out of town but is served by the MAX light rail, making it a great place to live. It’s also a great place to work, with hospitals, shopping malls, a military base and many office buildings in the area. We provide an incredible variety of commercial cleaning services to the Clackamas area. Wilsonville is known for being home to large offices for Xerox and other global businesses. But there’s plenty of retail space, too! 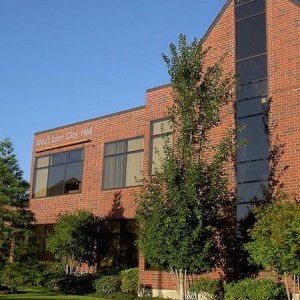 At Cascade Building Services, we specialize in cleaning the offices, shopping malls, hospitals, apartment complexes, and banks that call Wilsonville home. Tigard is the 12th-largest city in Oregon! Even though it’s best known as a Portland suburb, it’s home to shopping malls and companies like Stash Tea, Consumer Cellular and more. Learn about how we’ve been providing commercial cleaning services to the Tigard area for more than 50 years. Benchmade Knives and Medrisk are just two of the many growing businesses that call Oregon City home. At Cascade Building Services, we’ve been providing commercial cleaning services to Oregon City since 1961. Find out how we can help you! We love West Linn! It’s been named the best place to live in Oregon by People Magazine and is home to great schools and growing businesses. Find out more about how we work with businesses, schools, and other organizations who need commercial cleaning services in West Linn. It’s amazing how Milwaukie has grown over the years. With the new MAX Orange Line connecting Milwaukie to downtown Portland, the area is likely to keep growing, adding new residential and commercial buildings. We look forward to providing commercial cleaning services to Milwaukie for years to come! Long one of Portland’s most prosperous suburbs, Lake Oswego is beginning to develop a reputation as a home for growing businesses. We’re proud to provide commercial cleaning services to upscale offices, condo complexes, banks, and a variety of other buildings and organizations in the area. Located to the east of Portland, thousands of people call Gresham home. For over 50 years, we’ve been providing commercial cleaning services to apartment complexes and condominium buildings in the Gresham area. Today we’re proud to be serving many of Gresham’s growing businesses, too! Portland’s neighbor to the north, Vancouver, WA is turning into a local business hub in its own right. At Cascade Building Services, we love to provide commercial cleaning services to hospitals, hotels, office buildings, and condos in the area. Learn how we can help you! Yamhill County’s 2nd biggest city has an incredible history. Today it’s home to a major dental manufacturing company, George Fox University, and 9 public schools. Find out how we can help keep your workspace clean!